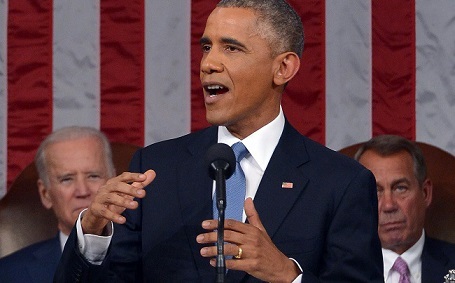 As with the past few years, we are fortunate enough to have scholar Sandra M. Gustafson contribute a post following Barack Obama’s annual State of the Union address, positing the stakes for Obama’s rhetorical position in light of recent events in Ferguson, Missouri, and New York City (while pointing toward their more deeply embedded and disturbing legacies, respectively). 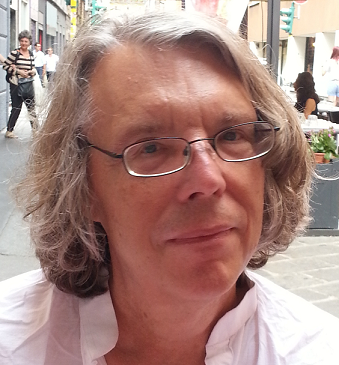 Read Gustafson’s 2015 post in full after the jump below. *** Lives that Matter: Reflections on the 2015 State of the Union Address by Sandra M. Gustafson In his sixth State of the Union address, President Barack Obama summarized the major achievements of his administration to date–bringing the American economy back from the Great Recession, passing and implementing the Affordable Care Act, advancing civil rights, and winding down wars in Iraq and Afghanistan, while shifting the emphasis of US foreign policy toward diplomacy and multilateralism – and presented a framework for new initiatives that he called “middle class economics,” including affordable child care, a higher minimum wage, and free community college. Commentators compared the president’s emphasis on the successes of his six years in office to an athlete taking a victory lap. Some considered that tone odd in light of Republican midterm victories, while . . .
Excerpt: How Many is Too Many? 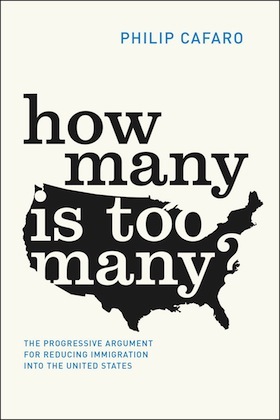 Excerpted from How Many is Too Many? : The Progressive Argument for Reducing Immigration into the United States by Philip Cafaro *** How many immigrants should we allow into the United States annually, and who gets to come? The question is easy to state but hard to answer, for thoughtful individuals and for our nation as a whole. It is a complex question, touching on issues of race and class, morals and money, power and political allegiance. It is an important question, since our answer will help determine what kind of country our children and grandchildren inherit. It is a contentious question: answer it wrongly and you may hear some choice personal epithets directed your way, depending on who you are talking to. It is also an endlessly recurring question, since conditions will change, and an immigration policy that made sense in one era may no longer work in another. Any answer we give must be open to revision. This book explores the immigration question in light of current realities and defends one provisional answer to it. By exploring the question from a variety of angles and making my own political beliefs explicit, I hope that it will help readers come to . . .
Adam Gopnik, writing in the New Yorker, recently profiled eminent American sociologist Howard S. Becker (Howie, please: “Only my mother ever called me Howard”), one of the biggest names in the field for over half a century, yet still, as with so many purveyors of haute critique, better known in France. Becker is no wilting lily on these shores, however—since the publication of his pathbreaking Outsiders: Studies in the Sociology of Deviance (1963), he’s been presiding as grand doyen over methodological confrontations with the particularly slippery slopes of human existence, including our very notion of “deviance.” All this, a half dozen or so honorary degrees, a lifetime achievement award, a smattering of our most prestigious fellowships, and the 86-year-old Becker is still going strong, with his most recent book published only this past year. From the New Yorker profile: This summer, Becker published a summing up of his life’s method and beliefs, called “What About Mozart? What About Murder?” (The title refers to the two caveats or complaints most often directed against his kind of sociology’s equable “relativism”: how can you study music as a mere social artifact—what about Mozart? How can you consider criminal justice a mutable convention—what about Murder?) The book is both a jocular . . .
Below follows, in full, an interview with Alice Kaplan on the career of recent Nobel Laureate Patrick Modiano. The interview was originally published online via the French-language journal Libération, shortly after the Nobel announcement. 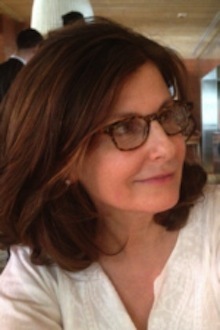 *** The American academic Alice Kaplan, author of the outstanding The Collaborator: The Trial and Execution of Robert Brasillach, and more recently, Dreaming in French, teaches Modiano at Yale University, where she chairs the Department of French. 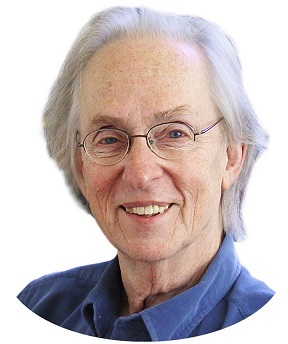 She evokes for us the particular aura of the French Nobel Laureate in the United States. Is Patrick Modiano well known in American universities? There have been sixteen PhD dissertations on Modiano in American universities since 1987, a significant number, given that he is a both foreigner and a contemporary novelist. Yale University Press has just published a trilogy of novels originally published by the Editions du Seuil under the title Suspended Sentences. Modiano’s attraction comes from his style, which is laconic and beautiful but also quite accessible, in English as well as in French. 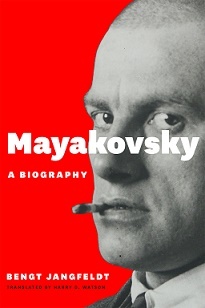 Then there is the particular genre he invented, inspired by detective fiction, familiar to American readers. The obstacle is obviously the number of references to specific places in Paris that are everywhere in his books—all . 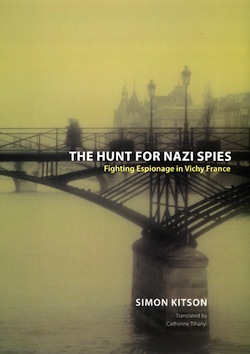 . .
Our free e-book for January is Simon Kitson’s The Hunt for Nazi Spies: Fighting Espionage in Vichy France; read more about the book below: From 1940 to 1942, French secret agents arrested more than two thousand spies working for the Germans and executed several dozen of them—all despite the Vichy government’s declared collaboration with the Third Reich. A previously untold chapter in the history of World War II, this duplicitous activity is the gripping subject ofThe Hunt for Nazi Spies, a tautly narrated chronicle of the Vichy regime’s attempts to maintain sovereignty while supporting its Nazi occupiers.Simon Kitson informs this remarkable story with findings from his investigation—the first by any historian—of thousands of Vichy documents seized in turn by the Nazis and the Soviets and returned to France only in the 1990s. His pioneering detective work uncovers a puzzling paradox: a French government that was hunting down left-wing activists and supporters of Charles de Gaulle’s Free French forces was also working to undermine the influence of German spies who were pursuing the same Gaullists and resisters. In light of this apparent contradiction, Kitson does not deny that Vichy France was committed to assisting the Nazi cause, but illuminates the . . .